Daisies: Let's Keep it Clean! Did you know there is water all around us, even under our feet? 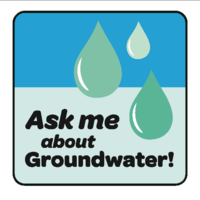 While working on these patches, you'll learn about the importance of water in your life! 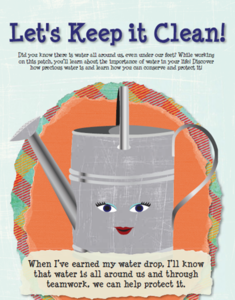 Discover how precious water is and learn how you can conserve and protect it! 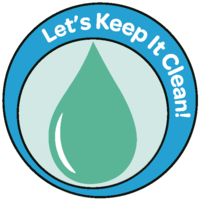 Earn this patch by completing the three steps in the Daisy: Let's Keep it Clean! patch booklet. Click here to purchase. Earn this patch by doing more activities from the Daisy: Let's Keep it Clean! patch booklet. Click here to purchase. Purchase your Daisy patch booklet here.